Good Food has the power to make change. Consider adopting some of these Good Food and Farming ideas to support your platform this election. 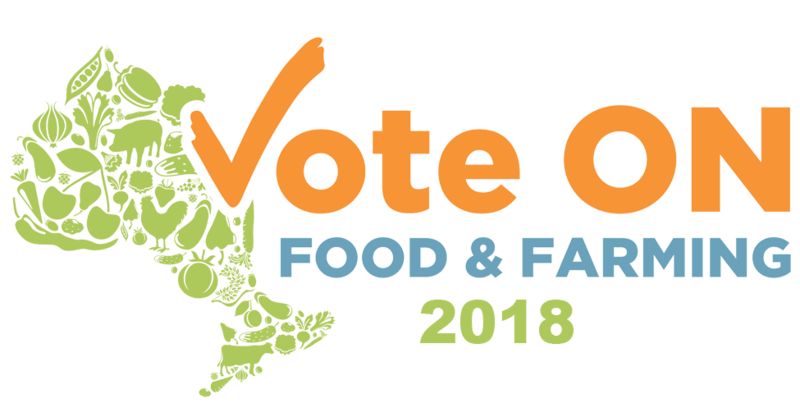 Do you want to be part of a province-wide Ontario voice for support of food and farming systems that are healthy, equitable, ecological and financially viable? Join others working in the food, health and agriculture sectors to let our governments and other organizations know what we think it will take to transform Ontario’s food system. Together we work towards change. Good food bites in your inbox! Get the weekly highlights of our blog and updates on food & farming news, policy, and events.